Basketball is a sport that involves a lot of explosive movements such as jumping for a rebound, dunking and even shooting. Over time, these movements can take a toll on your knees and ankles. Whether you are jumping up for a rebound or trying to do a crossover, you need some sort of protection for your knees and ankles when you land. Fortunately, there are basketball shoes that can take the stress off you and provide a cushion for the landings. Today, we will look at the top 3 best cushioned basketball shoes. 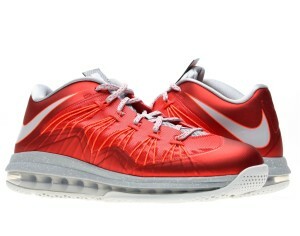 First one our list is the popular Nike Air Max Lebron X low. Being a low top shoe it allows for good mobility and it provides great cushioning support. The shoe is cushioned by Nike Zoom Air technology which runs throughout the bottom of the shoe. You may find similar technology in other Zoom Air shoes, but this one is unique in the sense that it offers a full length zoom unit. The full length unit provides maximum protection through the entire sole. It provides great protection and cushioning not just on the court, but even off the court. The shoe is durable and would be a great shoe to pick up for your shoe collection. If you are looking for a shoe that can be reliable and will provide cushioning, you should definitely checkout the Nike Air Max LeBron X low. 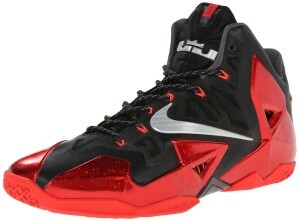 Nike Lebron XI has been a very popular shoe amongst basketball players of all ages. This is because of its style, durability and performance on and off the court. This shoe is the perfect blend between agility and good impact protection. It is cushioned by Nike lunarlon insole that also has a zoom unit built in it. The luner insole provides even impact protection throughout the shoe by cushioning the landing evenly. What makes this cushioning system amazing is over time the luner insole molds to the structure of your foot, which provides great foot support and cushioning based on the structure of your foot. This is one of those shoes that is not just worn for protection and stability, but also style. Whether you are starting out as a basketball player or have been playing for some time, the Nike Lebron XI will surely turn heads on and off the court. 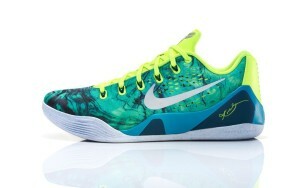 The third and final shoe on our list is the Nike Kobe IX EM Low. Being a one of the best shoes for guards, this shoe offers great impact protecting by utilizing a full length lunarlon insert that evenly spreads the weight upon landing. It gives the player confidence by providing secure lockdown to perform with stability. The lunar insole is somewhat similar to the Lebron XI insole, but there are slight differences. The insole on the Kobe is slightly thinner and does not have the zoom unit, which gives the player great court feel and also provides that lunarlon cushioning. Out of these 3 shoes, the Nike Lebron XI are my favorite. They provide the best of both worlds by combining style and performance in one shoe. The Lebron XI are one of the best shoes in the line of Nike Lebron shoes. The insole provided in these provides great cushioning and support. It will be a great shoe to buy and play the game you love with confidence and comfort.